It's time for the annual Quilt Surface Design Symposium. Last year, for the first time, it was held at the Columbus College of Art and Design. This dredged up memories of my own college days. 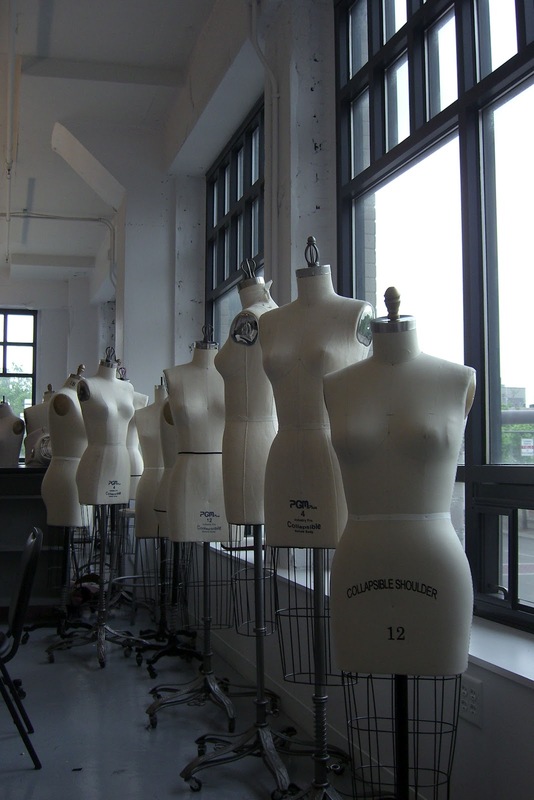 At my university, the Fashion Design department was the stepchild of the arts, relegated to soul-stifling windowless rooms in the engineering building. At CCAD, light pours through tall windows in a beautiful classroom full of sewing machines. Late each afternoon, I would creep down to visit the dress forms standing near the windows. Gathered in threes and fours, the tableau reminded me of some silent, frozen cocktail party, one at which no one could decide what to wear. No heads, no arms, no legs, but I am quite sure they enjoy the view.